Summary: On December 11, 1980 at 5:30 a.m., Indianapolis Police Sergeant Jack Ohrberg and other officers went to 3544 North Oxford in Indianapolis attempting to serve papers on persons believed to be at that location. Ohrberg banged on the door several times and identified himself as a police officer. Two other officers on the front porch were in uniform. After the next door neighbor told officers that there was noise from inside the apartment, Ohrberg crouched and pounded with his shoulder on the door, which began to open. Officers saw furniture blocking the door, and saw 2 or 3 muzzle flashes from two different locations inside. Ohrberg was shot and collapsed on the porch. Officers took cover and saw a man come out onto the porch, point a rifle, and fire at least 2 additional shots into Ohrberg. Officers took cover and returned fire. Shots continued to come from inside the house. After a few minutes, Gregory Resnover came out, threw down an AR-15 rifle and surrendered. Earl Resnover followed, laying down an AR-15 and a pistol. Ohrberg's business card was found in Earl's wallet. Two women then came out, leaving wounded Smith inside. An AR-15 which was recovered next to Smith was found to be the murder weapon. An arsenal of weapons and ammunition was recovered inside the apartment. Pivarnik Opinion; Hunter, Debruler, Givan, Prentice concur. Pivarnik Opinion; Shepard, Debruler, Givan, Dickson concur. Krahulik Opinion; Shepard, Givan, Dickson, Debruler concur. Petition for Writ of Habeas Corpus filed 11-25-88 in U.S. District Court, Northern District of Indiana. Writ denied 10-31-94 by U.S. District Court Judge Allen Sharp. Affirmed 3-0; Judge Richard A. Posner, Judge William J. Bauer, Judge Joel M. Flaum. Smith v. Farley, 949 F.Supp. 680 (N.D.Ind. 1996). SMITH WAS EXECUTED BY LETHAL INJECTION ON 07-19-96 AT 1:23 AM EST. HE WAS THE 74TH CONVICTED MURDERER EXECUTED IN INDIANA SINCE 1900, AND THE 4TH SINCE THE DEATH PENALTY WAS REINSTATED IN 1977. 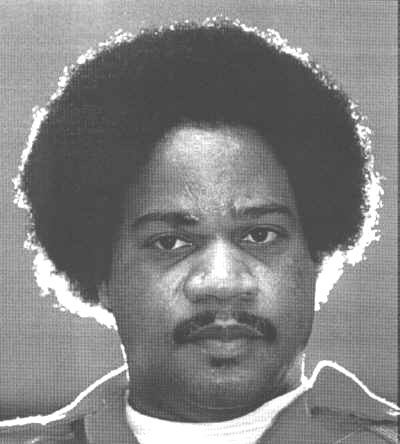 HE WAS THE FIRST CONVICTED MURDERER EXECUTED IN INDIANA BY LETHAL INJECTION.